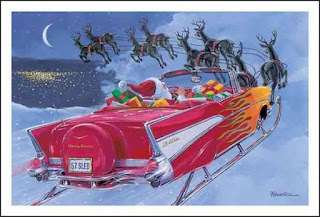 Best wishes to everyone on behalf of the Edmonton & Area 567 Club. Here's to a fantastic 2017 filled with great moments and memories with loved ones. The meeting was opened with the Prez. Roy M. reading the minutes of the October meeting & all was accepted by those in attendance. The Non Profit application to the Province has been sent in & we are just waiting for the approval. 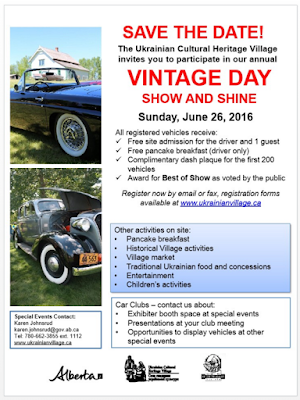 The club had a location again at the Red Deer Swap Meet presented by Quick Times Magazine. We again had lots of people dropping by and inquiring about the club. Roy M. & Keith G. are working to have a 2017 club calendar printed.. More to come before year’s end. World of Wheels car show is returning this spring and maybe we can put to-gether a club display. Jim to check into this and report given at the January meeting. Apologies for the delay on this. Club President Roy Marko has delivered the cheque to the order of $2200CDN, raised from the 16th Annual Bow-Ties vs the World Show and Shine, to the Kids with Cancer Society. A huge thank you to everyone who participated, contributed, attended and volunteered for this year's event. Despite the muggy weather and the change of venue - it was a great time for all involved. We look forward to next year when everything gets bigger and better for the cause. At the November 2 Club Monthly Meeting - a proposal was brought forward to the club. We have been asked to assist in the operation of a Spring Indoor Swap meet (date TBA). We are the first car club asked to help out and the opportunity to benefit from the exposure of this event for us & make some $$$ for the club & any charities of our choice is very good! The areas of publicity and staffing would be our task. The staffing involves gate admission cashiers, set-up & clean up volunteers, over night security & floor staff the day of the meet. A total of 12 –14 volunteers are needed, so far there are 6-7 that have committed to be on board (50 %). I have been asked to recruit or to see if there is enough interest from the members to support and COMMIT to this idea... The Club needs your response! The deadline is December 7, 2016 for your response. WE need total commitment for those who sign up on the list. 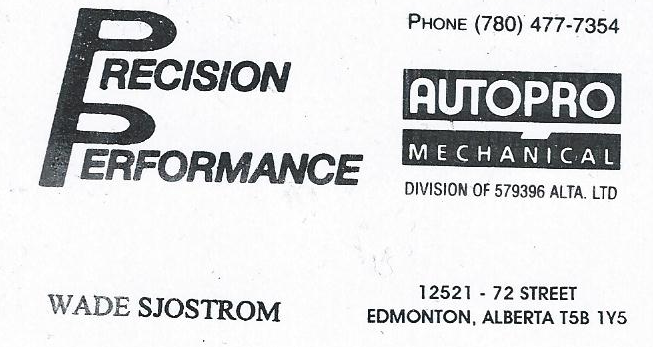 Please reply to Jim K at jskennedy@shaw.ca . Open meeting with Sept. minutes read by Club Prez. Roy M. & was accepted by all present. Treasurer`s report was given by Jim K. The club`s account is good and a donation cheque to the ``Kids with Cancer`` Society of $2200.00 was written. Roy M. is to present the cheque to the ``Kids with Cancer`` Society. Click "read more" for the full minutes. The Edmonton & Area 567 club’s Annual Christmas dinner will take place on December 7 @Starting between 6:30-7:00 P.M at Black Jack’s Roadhouse Upstairs at Nisku, AB. Non-alcoholic drinks are included in the price, but alcohol costs extra. This venue is an 18+ only event. No children please. 7 p.m Drillers Lounge, Airways Inn, Nisku Ab. 9 members present. Minutes from August meeting were read by Roy M. & accepted by all present. Welcome to Warren Lee & Glen Kaminsky for joining our group..
Club Prez. thanked the small amount of members that assisted in making the Show n Shine successful. Special thank you to the wives and their friends for their help as well. Thanks goes out to Jim K for all his duties too. The folks at Canadian Tire were impressed & want us back for next year. Treasurer’s report was given by Jim K. The final numbers were present for the Show n Shine. Again the Club’s bank account was not affected, all costs were covered by our sponsors. THANK-YOU to Them!!! The club account balance was given & accepted by all present. Are You Missing your Bow-Ties Commemorative Photo? 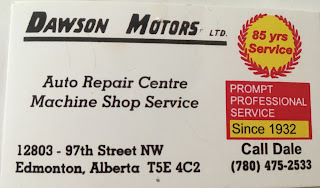 If you have not yet received a picture of your vehicle - please contact Roy @ 780-909-2283 to see if he has it ready for you and you can arrange to pick the photo up. The 16th Annual Bow-Ties vs the World event was loaded with events, including competitions and contests - like the annual Pie Eating competition. Check out some of the good times. Click "Read More" for pics of the event. The 16th Annual “Bowties vs the World” Show n Shine was held on August 27th at the Canadian Tire store (132 Ave & Fort Road). The weather was not on our side but we still saw 108 entries on the property and had our share of out-of-town entries including from Surrey BC, Grande Prairie, Irma, Westaskiwin, Clyde and Tofield in addition to the Edmonton area. Kudos to the Kilkenny Scout group for an excellent BBQ and the good folks from Canadian Tire.Sonya and her gang were terrific!! Click "Read More" to see images of some of the Rides that showed up for this year's Bow-Ties vs the World event. 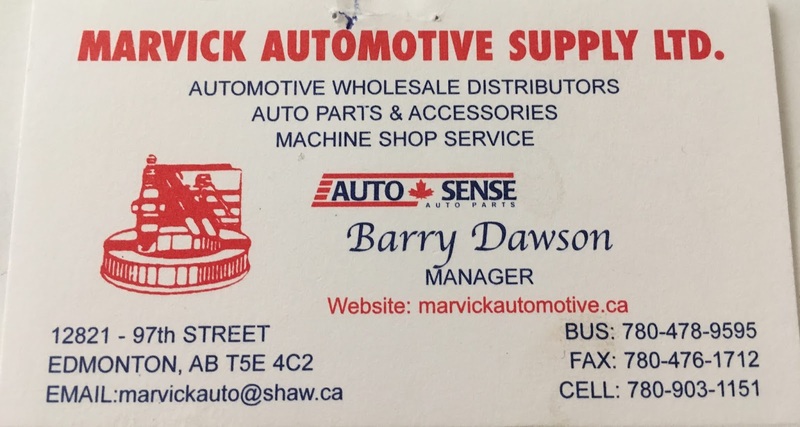 August 14th was the 30th Anniversary Pro-Stock Performance Show and Shine. There was a great turnout from all areas of rides - close to 200 by our count - and everyone was greeted by great weather. From a Nitro-powered funnycar, an alcohol powered dragster, some pro-mod cars, the City Police Drag team and a vast array of street-driven vehicles - there was everything a Gearhead could ask for. The Club has its share of members with many people dropping by. Kudos to fellow member Les Hastey, who won an award for his entry - a 1955 2-door low rider. Special thanks to Kathy and the gang at Pro-Stock Performance for the terrific event! The minutes from the July meeting were read by Club Prez. Roy & accepted by those in attendance. Treasurer’s report was given, Account looking very good and event budget in place, accepted by all. Much of the meeting to discuss upcoming Show n shine. Jim to have a Pre-event BBQ at his place on August 22 @ 6:30 pm. 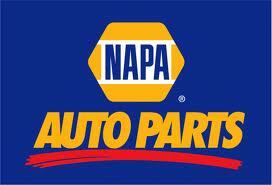 Mopac Performance to supply items for door prize table. 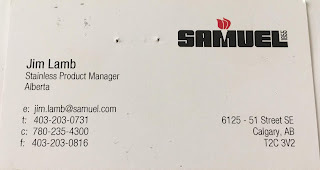 After BBQ at Jim’s, members to go over to Event Site to check on event Logistics.. Porta Potties to be delivered day of event @ 7:30 a.m.
Roy M. has a License plate plaque to show members the possibility to make one for club members ( aluminum grade). A report at Sept. meeting on the costs. Rimbey ( Central Alberta Raceway) has invited our club on September 10 to their track. Discussion on their invite at September meeting. 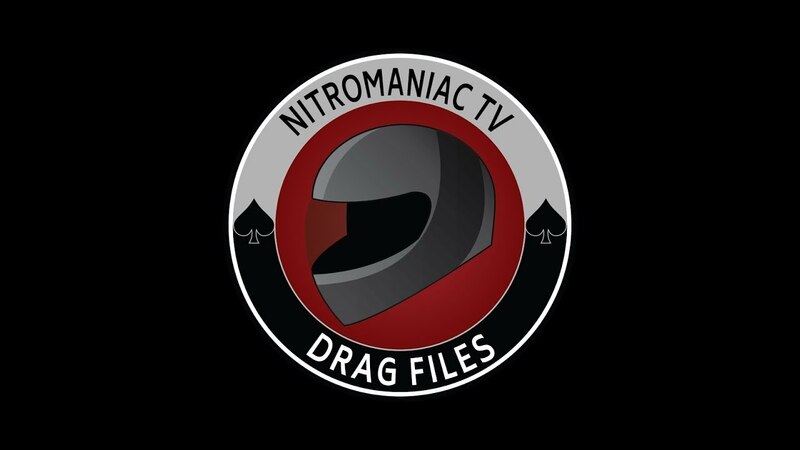 For the drag racing fans - 567 Club Member Kellen K spent some time taking in the 2016 MOPAR IHRA Rocky Mountain Nationals from July 15-17 and got some incredible footage for his YouTube series, Drag Files. Check it out. 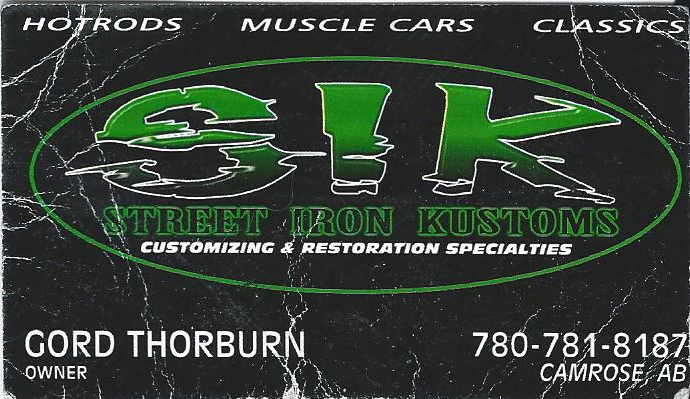 The 104 Street invitational car show, hosted by Kelly’s Pub and local establishments, was held on July 16 from 5 –10 p.m. There were 110 entries for the show and lots of things happening. There were 4 classes to enter and cash prizes for award winners. The venue was where the 104 street Farmer’s Market is held & the evening time for this show was kinda neat. Lots of people just taking in the sights & sounds, the weather was terrific! Next year may be even betterif it can top this year’s event. Thanks to Vern Smart and his lovely daughter Kelly for the invite. 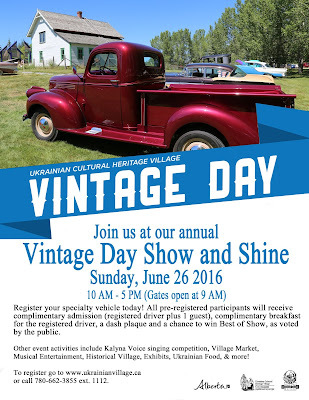 The Northern Thunder Car Club from Drayton Valley held their annual show n shine on July 17. Despite competing with the bad weather they managed 74 entries, including three members of our club. The event was pretty cool & most people that we met were very nice! Special Thanks goes out to Bob & Co. for a great day! Minutes from June meeting were read by Club Prez. Roy M. & were accepted by all members present. The First ever KMS tools Ltd. show n shine was held at their store. They had projected about 60 entries for this event BUT they almost tripled the expected amount. There were 4 members from the club and you could not ask for better weather. Lots of cool entries, spectators and lots of draws. Hopefully KMS will present next year’s show with a few more categories, as there were only 2 categories plus the peoples choice award. The Camrose Cruisers show n shine was terrific! The weather was hot with partial cloudiness (everyone was watching the sky for the big storm) and the entrant count was approx. 180 plus. There is always lots to see from cars,trucks and people! Lots of people! The females love the unique shops that line the Main street, which holds the show n shine. 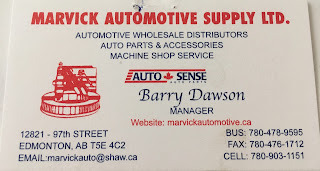 Thanks goes out to Guy Hanak and gang from Showtime Auto (out of Camrose) for their hospitality and letting me park my ride in their area.. The drive to and from Camrose was nice & we tagged up with numerous other entrants from the City that drove back home. 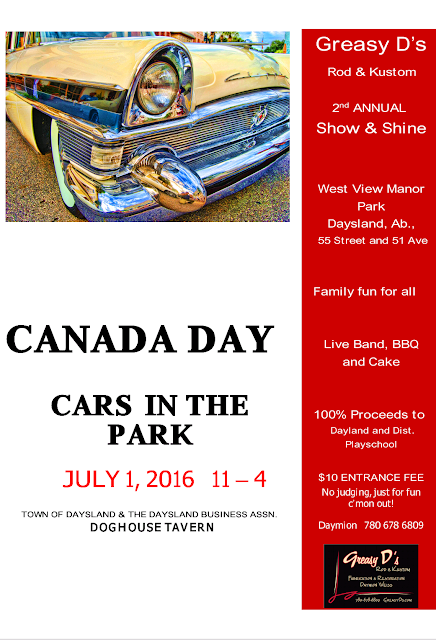 The club was invited to a Canada Day festivity in Daysland Alberta by Fellow member Daymion Weiss. The cruise out to Daysland was great and the weather was also another nice addition. The people at Daysland really know how to hold a event! The pancake breakfast hosted by the Town’s Fire Dept. 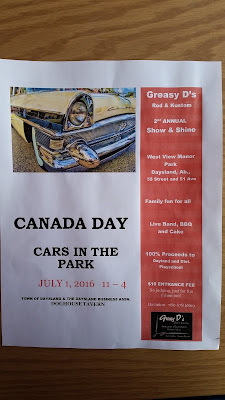 was fantastic, then over to the town park to celebrate Canada Day. The burgers, Ice cream & birthday Cake were mouthwatering to say the least! The members and their wives really enjoyed themselves. 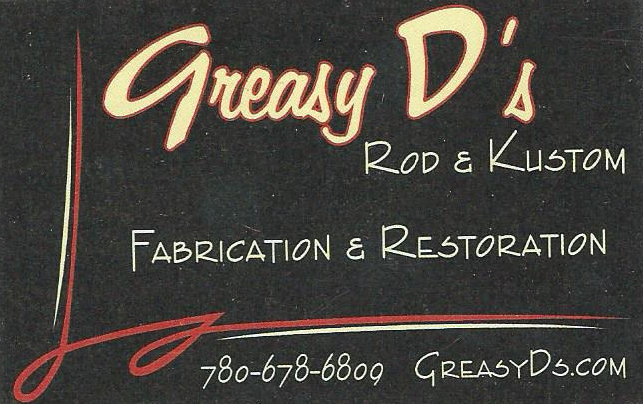 Just a reminder that this FRIDAY, July 1 from 11 to 4 is the 2nd annual Cars in the Park Show & Shine, brought to you by Greasy D's Rod & Kustom. 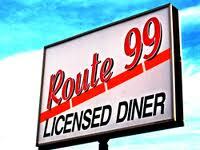 There will be a "Pancake Breaky" at 8am and they are looking for volunteers to come help out. 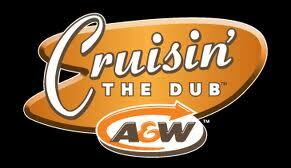 If you're interested in taking part in an Edmonton & Area 567 Club Cruise to the event contact Jim at 780-473-4559. It's ready to go. 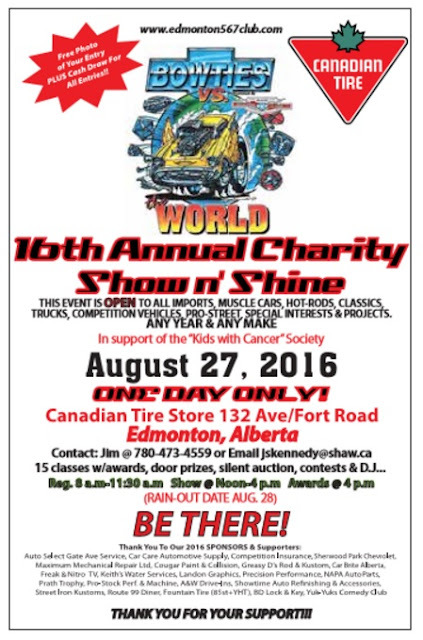 The official poster for the 2016 "Bow-Ties vs the World" Charity Show N Shine, brought to you by the Edmonton 567 Club is online with all the details. Please note the address/venue change from previous years. Activities include Swing dance performances and lessons, Singing contests, childrens activities and music performed by Cooper Studios. 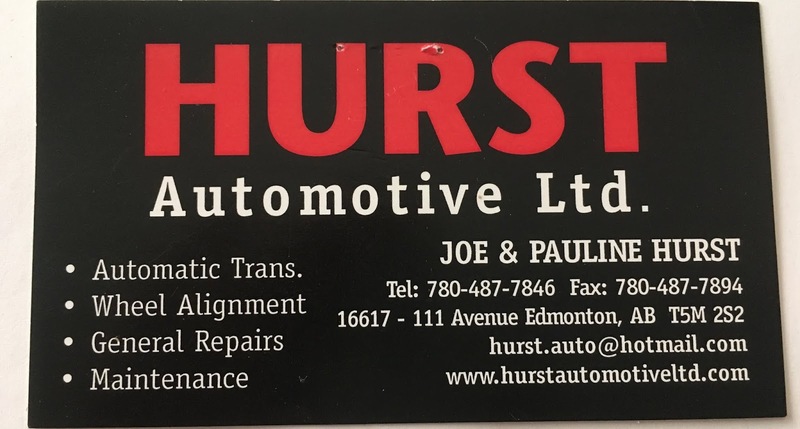 The Edmonton & Area 567 Club will be attending the 2nd Annual Canada Day Cars in the Park Show and Shine, Sponsored by Greasy D's Rod & Kustom, on July 1 from 11am-4pm. Music will be supplied by The River Jacks. The Edmonton & Area 567 Club members and their wives had a cruise to the World Famous Reynolds Museum in Wetaskiwin, AB on May 14. The tour was presented by our host Kerrie and included a special behind the scenes Work Shop Tour. We had the whole building plus the aircraft display to ourselves (that was nice), plus a couple of members (Armand & Clayton) took a ride in a vintage Bi-plane around the location! The whole experience was a hoot! Many thanks to Roy for setting this trip up! Click "Read More" to see images from the tour. We at the Edmonton & Area 567 Club would like to extend our thoughts and well-wishes to the people of Fort McMurray after the wildfire that damaged over 10% of their great city. If you'd like to donate to the cause text the word REDCROSS to 30333 to make a monetary donation to their relief fund. Vice President Daymion Weiss has stepped down due to the responsibilities of his new role as a volunteer direfighter in Daysland, AB. The newly elected VP is Shawn Green. 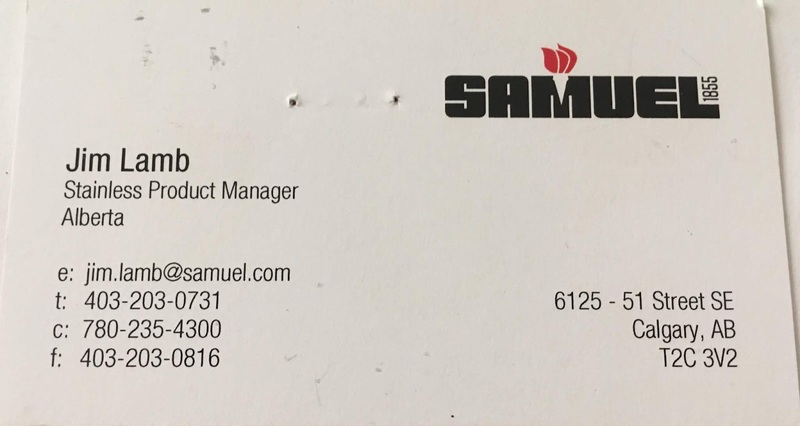 Congratulations to the both of you on your new roles. Additionally - the role of Club Secretary has been dissolved and replaced by club M.M.R which will now be performed by Bernie McIvor. Congratulations to Bernie. The Reynolds Museum tour that was postponed due to unforeseen personal circumstances has been rescheduled and is a GO for May 14 at 10am. The tour allows for all current members to check out their workshop - which typically is not open to the public. Current paid members will have free admission and may bring a guest/partner for $13 per person. If our group exceeds 30 people we will get a 10% discount. Lunch is either bagged or available for purchase at the museum. A decision will be made on the date based on headcount. Members are encouraged to bring their member card as verification. The previous minutes from March meeting were read by Roy M. & accepted by all who were present. 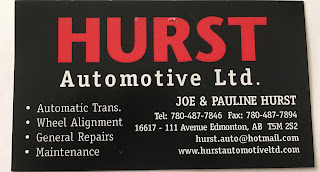 The treasurer’s monthly report was given, Club account is in Good shape, there were 3 disbursements in March ( swap meet in Red Deer, Stony Plain swap meet & website charges).. The report was accepted by all members present. 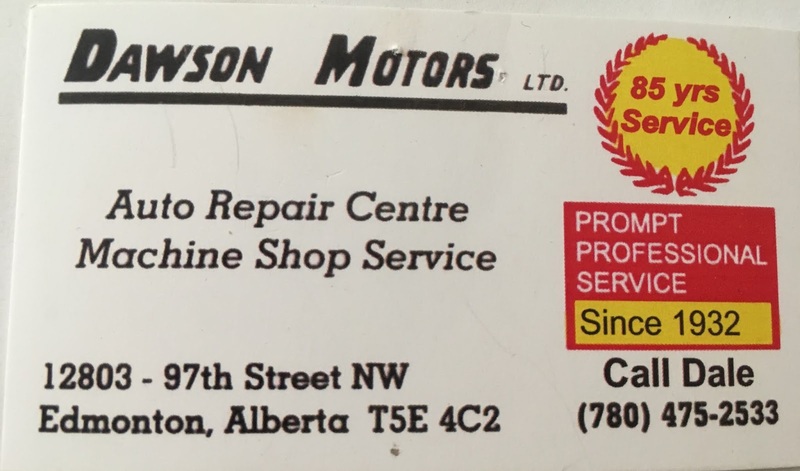 A report on the Red Deer swap meet was given, the club again had a real good response and we have two new members to our group. Let’s welcome to the club Mr. Rene LaForce & Mr. Warren Lee… NEW MEMBERS ARE ALWAYS WELCOMED !!! The club’s website had 1153 hits for the month. The road trip to Reynolds Museum was cancelled due to an untimely event, Roy will announce a new date, will be sometime in May. Due to unforeseen circumstances - the trip to the Reynolds Museum, originally scheduled for March 12, 2016 - has been postponed until further notice. Sorry for any inconvenience. The minutes from January meeting were read by Club Prez. Roy M..